So you need to exercise but you just can’t get motivated, or can’t find the perfect place for you. Well, you are not alone. Motivation is the most important factor when developing a plan to work out, and choosing the right gym is sometimes hard to do. “It is like a puzzle” says Kerry Paulson, a former owner and operator of gyms in San Diego. “The member needs to do what they enjoy doing, and the rest just falls into place. Victory MMA and Fitness would like to welcome two new additions to our amazing family of staff. We could not be happier to have Danielle Wolcott and Vince Bielinski join our team of yoga instructors and look forward to what they will add to our yoga program. FLUXX proudly presents its first FIGHT NIGHT! Youve seen our legendary Industry Boxing events, now we are changing the game by bringing MMA Cage Fighting to our dance floor on Monday, March 23! INTRO TO MMA 6 Week, 12 Session Comprehensive “Beginner MMA Program” Taught by fan favorite and UFC legend Chris Leben? UFC great and fan favorite Chris Leben @cripplerufc joins the Victory MMA Team as our full time MMA Coach and trainer. Chris Leben�s MMA training is at 11:00 AM, Monday thru Saturday as well as beg/int MMA Tues & Thurs nights at 6pm. 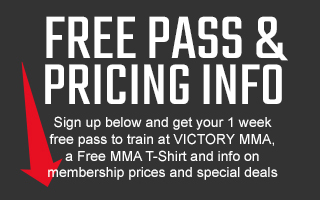 All experienced MMA fighters are welcome, both Victory members and non-members. Chris will also teach a variety of MMA beginner classes, and special 6 Week Courses titled �Intro to MMA�. Victory MMA would like to congratulate all those that competed at the CrossFit Left Coast Invitational this past Saturday, August 17th. In 93 degree weather, every athlete gave 100%. It was an honor to see all the hard work and dedication pay off, especially for our very own Denise Orfanos. She took first place in her division. Nice work guys! Victory MMA would like to congratulate 7 year old Atticus Helvig on taking home the gold in his division at Grappling X on Sunday, August 11th. Devin Pacheco and Sean Segui took home golds in their divisions as well. Devin also scooped up the silver in the men's advanced division at the age 15. Nice work! There is a good chance that you know someone who has taken part in martial arts in San Diego, but it is properly equally true that you are unaware of martial arts many exercise benefits.